F2 champion George Russell reveals the biggest thing he has learnt from Lewis Hamilton ahead of his F1 debut with Williams in 2019. George Russell says the lessons he has learned from five-time Formula 1 world champion Lewis Hamilton can help him in his debut season. 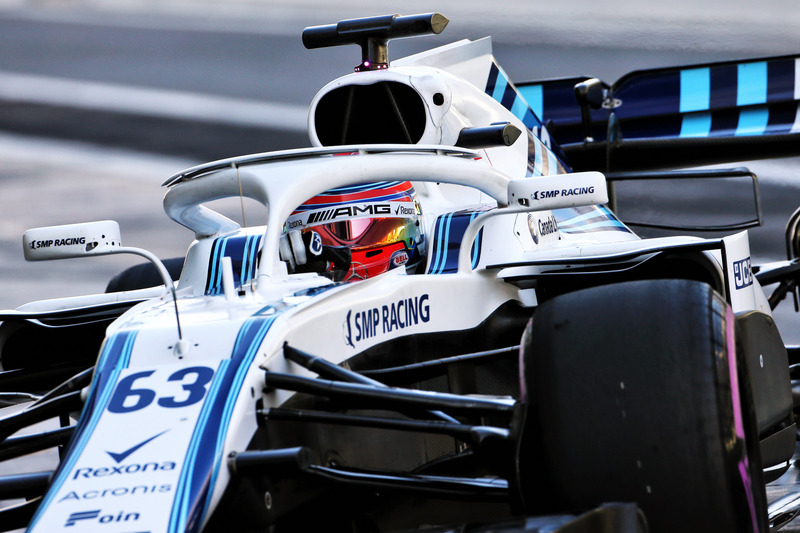 The 20-year-old Briton, who was crowned the 2018 Formula 2 champion, will make his F1 debut in the upcoming 2019 campaign having signed a multi-year deal to race for Williams. Alongside his F2 commitments, Russell spent a number of grand prix weekends with reigning world champions Mercedes in his previous role of reserve driver, revealing his position provided him with valuable insight into the behind-the-scenes operation of an F1 team. Asked what is the most important aspect he has learned from working with Hamilton, Russell said: “I think from my side, seeing how Lewis deals with the team behind the scenes. “No matter who you are, you can see how that driver works on track. At the end of the day, what works for him might not work for me, and vice versa. Following back-to-back title triumphs in GP3 and F2, Russell will partner the returning Robert Kubica at the Grove-based outfit, which is looking to recover from a torrid season in which it fell to the bottom of the constructors’ championship. “I’m really excited to be teammates with Robert,” he said. “I think obviously his natural talent is unquestionable, he has a huge amount of technical knowledge to be able to bring to the team. What will Fernando Alonso's 2019 look like?